In all the years I had lived in California and had driven up and down the Central Coast, I had never heard of Baywood Park. 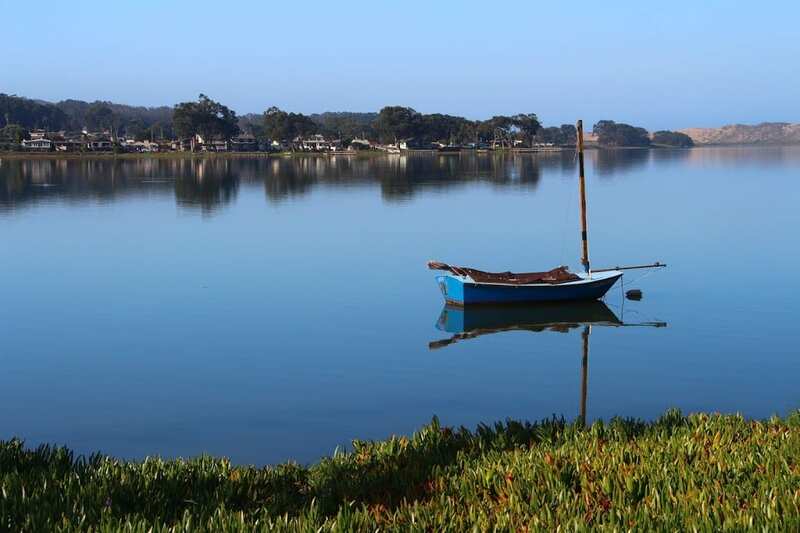 Located on the quiet, southern end of Morro Bay, this tiny, sleepy waterfront village lies several miles west of Highway 1. Yep, you read that right: west of Highway 1. 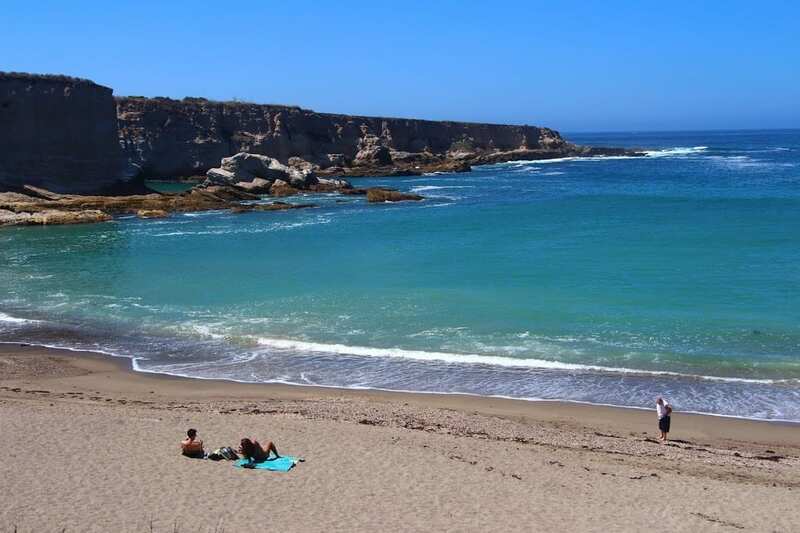 After a hundred-plus miles of cliff-hugging ocean vistas heading south along the Big Sur coastline, Highway 1 gives you once last peek of the ocean at Morro Bay before turning inland toward San Luis Obispo. The ocean doesn’t come back into view until some 20 miles later near Avila Beach, completely bypassing Baywood Park and other secret spots along this little-known stretch of coastline. 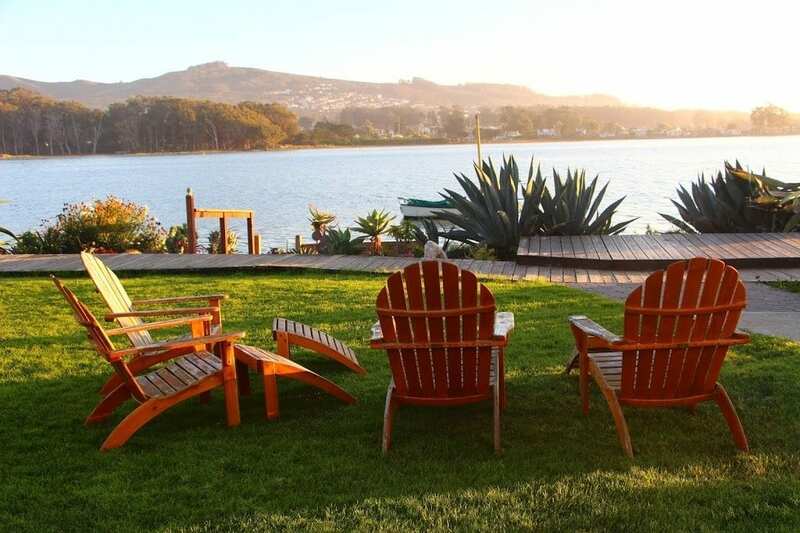 Nestled among cypress trees and well-tended gardens just steps from the serene waters of Morro Bay’s estuary, Back Bay Inn and Café lies at the heart of Baywood Park. I arrived on a Monday afternoon just as the local farmers market was winding down and a band was setting up outside the café. The Back Bay Inn was originally built in the 1930s as a hunting lodge. It was converted into a motor lodge in the 1950s and then rebuilt in 1999. 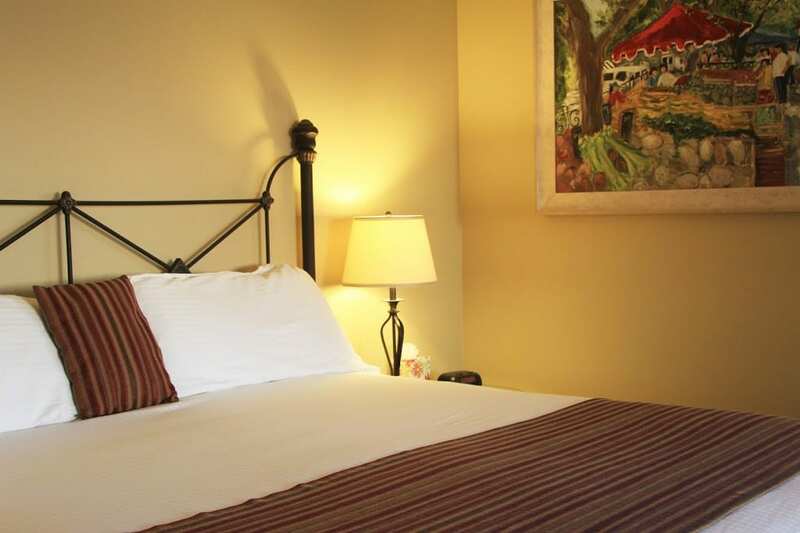 The inn offers 14 rooms in the main building and 10 additional rooms scattered among its cottages. 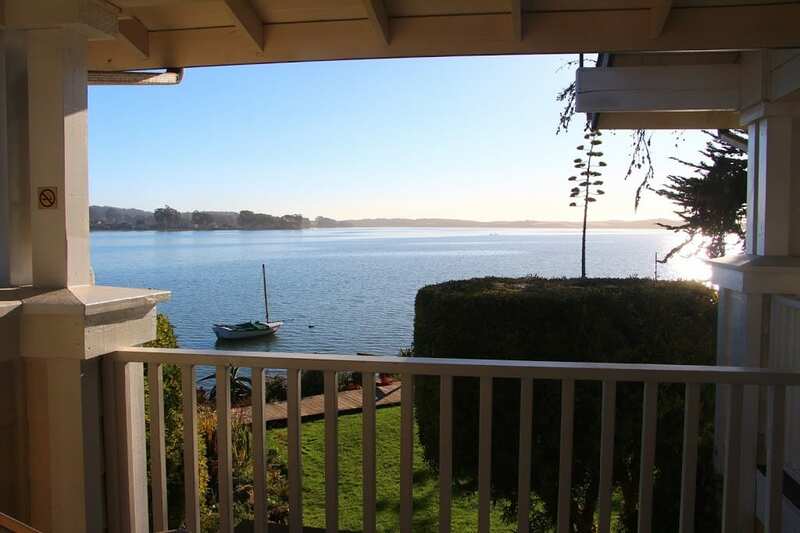 All of the rooms feature king beds, and most offer views of the bay. Some of the rooms also have fireplaces. 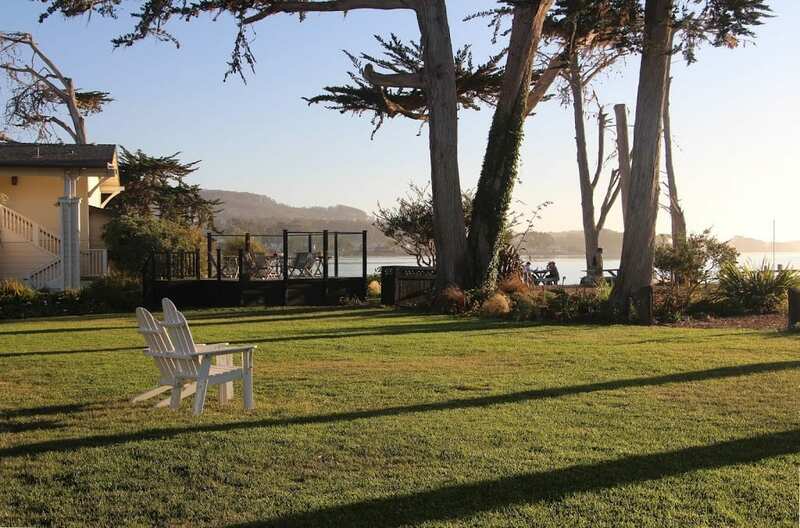 The grounds include a sand volleyball court, a stone labyrinth, a wooden boardwalk along the waterfront, beautiful gardens, and Adirondack chairs looking out over the bay. 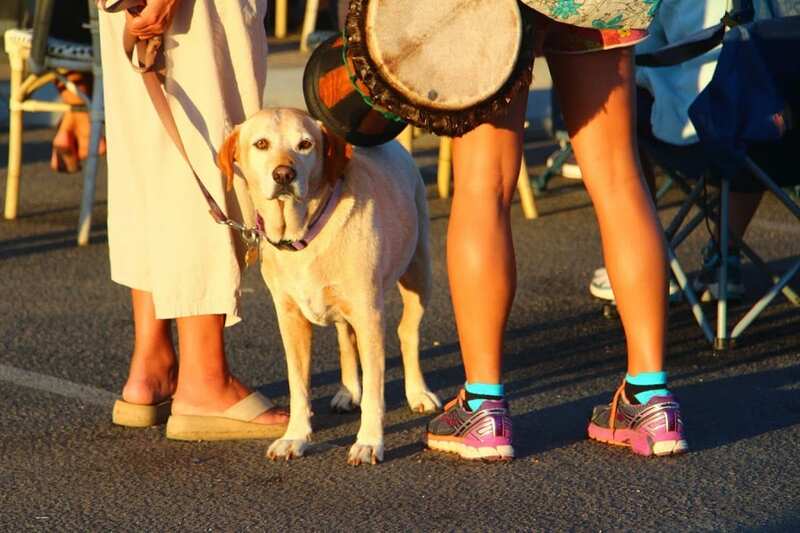 The inn hosts a couple of music festivals each year on its wide, grassy lawn: Junefest (the first Sunday in June) and Bayfest (the weekend before Labor Day). 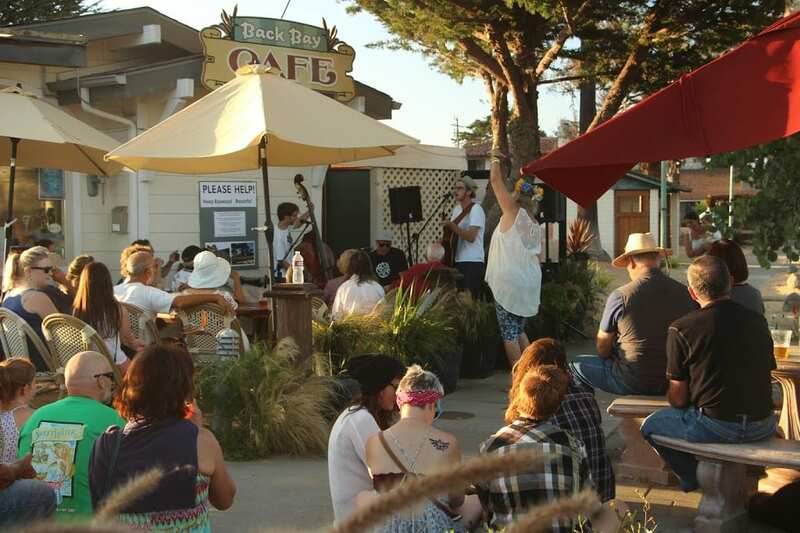 And every Monday night, after the weekly farmers market, the inn hosts live, local music outside the café from 5 to 7 p.m. I checked into room 208 and was immediately lulled by the view. The water was literally a stone’s throw away. The sun was low, and a golden light shimmered off the bay. A small sailboat moored a few yards offshore bobbed gently in the placid waters. A kayaker paddled slowly toward the sun. A flock of birds glided over the water and then disappeared into the eucalyptus trees across the way. A pair of chairs on the balcony of my room provided the perfect perch for watching the quiet customs of Morro Bay’s back waters. The room itself was unfussy. It featured a king bed with white linens and rich accent colors in the tapestries and throw pillows. Upholstered chairs and tables provided a comfortable seating area across from the armoire, which hid a television. The bath was a standard hotel-style bathroom with a tub/shower combo, but it was very clean, and held a small refrigerator, coffee maker, and hair dryer. Walking back out to the balcony, I heard the faint strains of the band starting up and I wanted to check it out. I grabbed a glass of wine from the evening wine reception downstairs, and then walked out to find what looked like the entire population of Baywood gathered in the parking lot. There were young families with their kids and dogs, tattooed hipsters and college kids kicked back on the sidewalk, older couples relaxing in chairs, and an aging hippie dancing barefoot. The band, Green to White, a trio from San Luis Obispo with an acoustic guitar, upright bass, and percussion, played soulful covers of tunes ranging from jazz standards to modern rock. A guy with a giant barbeque grill was serving up tri-tip steak sandwiches with grilled onions and tomatoes. Behind him, along the shore lined with locals’ kayaks, more people were hanging out in inflatable rafts while kids splashed around in the shallow waters of the bay. 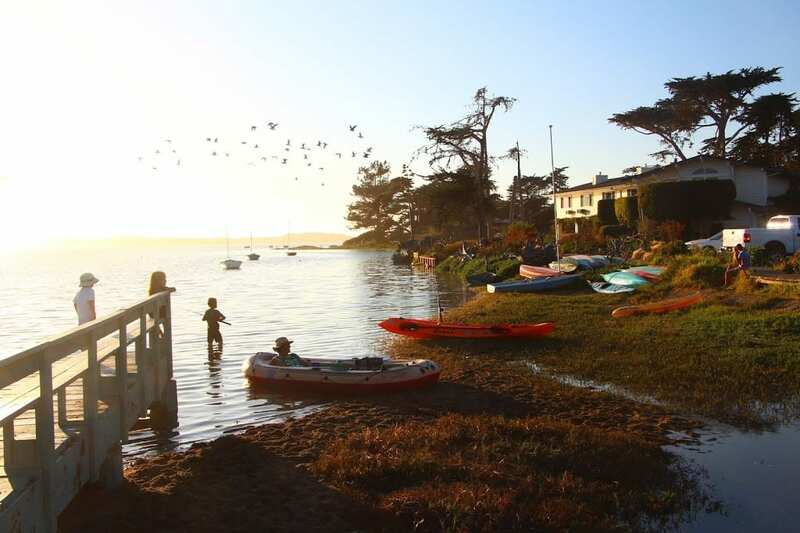 I walked out to the tiny Baywood Pier across from café, where I could listen to the music and watch the kids while the sun dropped lower in the sky. Early the next morning, before breakfast, I walked to the avian wonderland of Sweet Springs Nature Preserve, which is just half a mile from the inn. The 24-acre preserve is home to a variety of birds and wildlife, including butterflies and turtles. Across the glassy waters, I could see the famous rock on the northern end of Morro Bay. Back at the café, I ordered the frittata of the day, which was served with spinach, toast, and fresh fruit. While at breakfast, I met a group of local retired guys who call themselves the Baywood Navy and gather every morning at the café. They jokingly told me their motto was, “We don’t sail in any water we can’t walk in.” Looking back at a fisherman who was standing knee-deep what looked to be the center of the bay, I immediately understood what they meant. 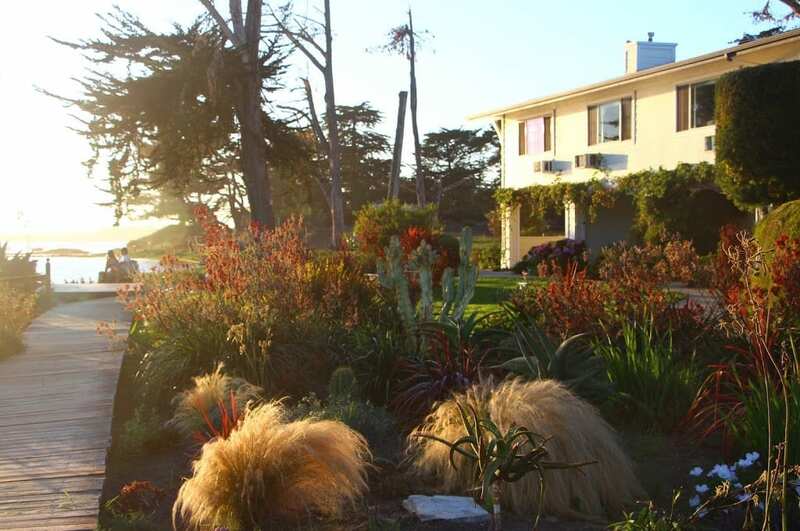 After breakfast, I drove out to Montana de Oro State Park at the suggestion of the inn’s owner, Bill Lee. What I found was jaw-dropping scenery: a sand dune-covered spit of land several miles long separating Morro Bay from the ocean, hidden beaches with only a handful of people, rugged cliffs, and steep mountain biking and equestrian trails winding through the forested hills and canyons. The park’s name, “Mountain of Gold,” comes from the golden wildflowers that bloom in spring. The park was an amazing find… and like the idyllic village of Baywood Park, it was a place I wished I had discovered years ago.